Biography of Loren R. Mosher, Ph.D.
Born and raised in California, Dr. Mosher received his B.A. from Stanford University and M.D., with honors, from Harvard Medical School in 1961, where he also subsequently took his psychiatric training. He was Clinical Director of Mental Health Services for San Diego, California from 7/96 to 11/98 and a Clinical Professor of Psychiatry at the School of Medicine, University of California at San Diego. One of his principal tasks in San Diego was the implementation of a managed care system for public sector adult clients. From 1988-96 he was Chief Medical Director of the Montgomery County Maryland Department of Addiction, Victim and Mental Health Services and a Clinical Professor of Psychiatry at the Uniformed Services University of the Health Sciences, F. Edward Herbert School of Medicine. In his role in Montgomery County, he helped establish a number of innovative programs, including a consumer owned and operated computer company and a new residential alternative to psychiatric hospitalization for persons in crisis. His professional training and experience is both extensive and wide-ranging. He received research training at the National Institute of Mental Health (NIMH) Intramural Research Program in Bethesda, Maryland and at the Tavistock Clinic in London. From 1968-80 he was the first Chief of NIMH’s Center for Studies of Schizophrenia. While with the NIMH he founded and served as first Editor-in-Chief of the Schizophrenia Bulletin. From 1970 to 1992 he was a collaborating investigator, then Research Director, of the Soteria Project – Community Alternatives for the Treatment of Schizophrenia. In this role, he was instrumental in developing and researching an innovative, non-drug, non-hospital, home-like, residential treatment facility for acutely psychotic persons. The many publications from this experiment demonstrate both the feasibility and cost-effectiveness of its non-traditional approach to the treatment of persons newly identified as having schizophrenia. 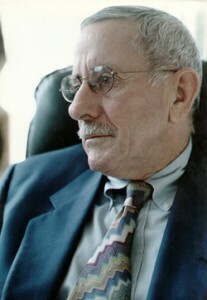 Continuing his career long interest in clinical research Dr. Mosher was (1990 – 1996) the Principal Investigator of a Center for Mental Health Services(CMHS) research/demonstration grant for the first study to compare clinical outcomes and costs of long term seriously mentally ill public-sector clients (he termed them “frequent flyers”) randomly assigned (with no psychopathology based exclusion criteria) to a residential alternative to hospitalization or the psychiatric ward of a local general hospital (the McPath project). The results of this study which comparable clinical effectiveness with a 40% cost saving favoring the alternative, have important acute care implications. In 1980, while based at the University of Verona Medical School, Dr. Mosher conducted an in-depth study of Italy’s revolutionary new mental health system. He documented that a new National Health Service supported system of catchmented community care could stop admissions to large state hospitals enabling them to be phased down and eventually closed. He also showed that when the mandated community system was implemented properly there were no adverse consequences for patients or the community. In his legal/psychiatric work Dr. Mosher was expert witness for the plaintiffs in two successful class action suits related to forced medication of psychiatric patients (N.J.; Renie vs. Klein, 1978; CA; Jamison vs. Farribee 1983). He also was an expert witness for the plaintiffs in four class action suites (MD, VA, DC &AZ) against Psychiatric Institutes of America(PIA) and National Medical Enterprises(NME) for medical malpractice and insurance fraud (1994-present). As a clinician, Dr. Mosher specialized in family and adolescent treatment, community psychiatry program consultation, and staff training. As a teacher, he was an acknowledged expert at conveying the essential and critical aspects of the interviewing process to students at all levels. In addition to over 100 articles and reviews, Dr. Mosher edited books on the Psychotherapy of Schizophrenia and on Milieu Treatment. His book, Community Mental Health: Principles and Practice, written with his Italian colleague, Dr. Lorenzo Burti, was published by W.W. Norton in 1989. A revised, updated, abridged paperback version, Community Mental Health: A Practical Guide, appeared in 1994. It has been translated into five languages. Prior to his death he founded his own consulting company, Soteria Associates, to provide individual, family and system consultation using the breadth of experience described above. Dr. Mosher died July 10th, 2004. For additional information and a directory of referrals to alternatives please go to www.mindfreedom.org. Copyright © 2009-2015 Judy Schreiber-Mosher. All Rights Reserved. site design and hosting by maggiedot.com.